Managing an HVAC company is a tough job between organising and scheduling appointments and doing all the back-end paperwork, there’s hardly a moment to keep up with employees in the field.Within the HVAC Industry, quality software is required to organise and plan coherently for all sized businesses. Although, skill does nothing to prepare you to own and properly manage a heating and air-conditioning business. 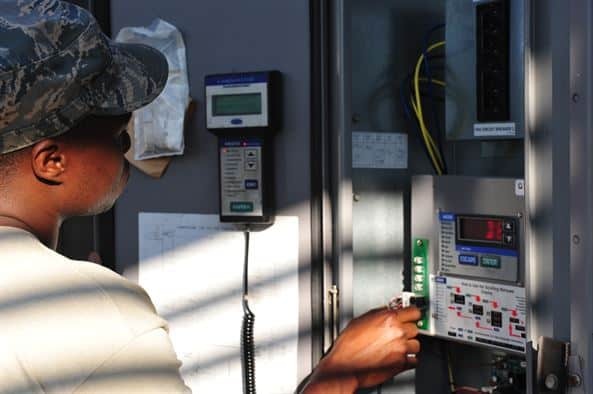 Eworks HVAC software allows for both management and technicians to efficiently create jobs and manage them. The CRM feature ensures all communication such as emails, calls, and complaints between your company and your customer is captured. A full history is tracked and at the end of your fingertips when you need it. Assign jobs to the correct technician in the field by being able to see what area the rest of their jobs are in for that day. This saves time and money on unnecessary traveling. Eworks allows you to track your technicians time spent on a job. You can view the user time sheets using the report summary. This saves the admin staff time in capturing staff time sheets from a paper job card and also means the job card cannot be lost or misplaced. A customers signature is easily captured on the App. On the completion of the job, it is automatically attached to the job sheet. The live panel lets you view the statuses of current jobs. Watch the colours change as the job status is updated from on route, to on site, to completed. This feature lets you know what is happening and where. Saving you the hassle of having to call the technician to find out where they are. This is where an excellent HVAC business software is so helpful. Keeping your customer happy is one of the most important responsibilities in business. This is why Eworks Manager offers the customer login portal. Your customer is able to log into the system and view the progress of work being done for them. They are able to view any notes intended for them captured by the admin staff. This feature offers peace of mind knowing they can simply log in and have their questions answered. The SMS notification feature is also handy in keeping your customers happy and informed. It is your choice to send an SMS to your customer to let them know that a technician is on their way to site. This also ensures that you won't arrive at that job and have no access to it.